When I got panicked after losing my page ranking, I tried in vain to get help in the Google community. Some people said page ranking isn't important as long as you've good contents. Well, it may not be that vital but it's certainly one of the factors what some sponsors in the US are looking at. It's so important to find the right people to help you. Many times when I'm in trouble, I would post in the Blogger or Google Community for help, but I get a lot of links directing me to go to their sites to read instead. Being a SEO idiot, I coudn't understand most of their techie language. I need very clear specific instructions, or screenshots to guide me as I'm really afraid to mess up my blog. I'm quite sure many of you out there are just like me, who are scared to make changes. About a month ago, I posted about my frustrating experience at Custom Domain, Setting Up Google Analytics & Webmaster after changing my url, and also about meeting Gyula, an extremely helpful and SEO Expert I found online. I'd engaged Gyula for his services after my page ranking dropped to"N/A", and remained the same even four months later after changing my url. He spent some time working on my blog and Google Webmasters etc, and I was delighted and relieved when my page ranking went up from "N/A" to "3" in just two weeks! Timing was good too, as Google don't usually update their Toolbar PageRank frequently. This came as a surprise for webmasters as everyone assumed that there won't be another PageRank update before 2014. Lucky me! My blog had also scored a miserable 26/100 in the Search Engine Visibility Score before I hired Gyula to help me. Look at my score now - at 57/100! It's at an average score, but it went up more than double! It certainly helped that some of my posts like my recent Goodie Bags for Top 10 Commenters of Luxury Haven had reached 74/100! I couldn't have done it without his help. Thank you so much, Gyula! I've just ordered another report from Gyula to see what other areas of errors I'm having, and hopefully able to fix them. Here's what you'll be getting from his report, which is rather detailed. I've to admit I may not understand all of them, but it's certainly good to know more about your own blog. Gyula owns quite a few informative sites. If you're like me who has no time, or is afraid to touch anything in your blog settings or make changes in your Google Analytics and Webmastes Tool in case things go wrong, I strongly recommend you to engage someone like Gyula to fix your errors. Every blogger can not manage to have services of a SEO. But someone busy like you definitely needs it and I am very happy for you on your blog's ranking. Balvinder, guess I was left with no choice since my blog transition didn't go smoothly :< Thanks, dear! thanks for sharing, a nice and detail report to highlight the improvements and ranking. Xinyun, all the best to your blogging! 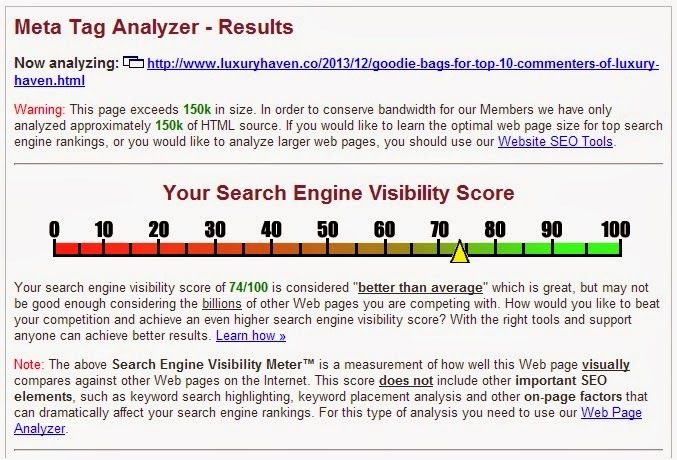 Very good sharing on page ranking and search engine visibility score. Thanks! SD, glad you found it informative! Interesting to note the support you received from Gyula. I shall check the details now. Nava, hope you'll find his sites useful as well. Gyula had certainly done a good job for you. Really worth hiring his service. DS, I thankful for his services indeed. Wow, talk about noticeable results! Glad you found the help you needed, Shirley, and I have no doubt your numbers will continue to climb! Kim, thanks dear! I couldn't have done it with the numbers without support from fellow bloggers like you too. Reana, these stuff drives us crazy, don't they? I'm happy that you've managed to get it solved. Phew! Luckily you get help from Guyla. Glad your blog rank gone up! Rose, lucky me! Thanks, dear! Rose, it was a scary experience. Glad I got it recovered! That's one nice post, Thanks for sharing. Aemy, we're so terrible or so called ignorant. Lol! Ken, hope you can gain some insights too. Congratulations on having your page rank back sgain :). Yes many US sponsor look at page rank. Sharon, never knew it can be so important! 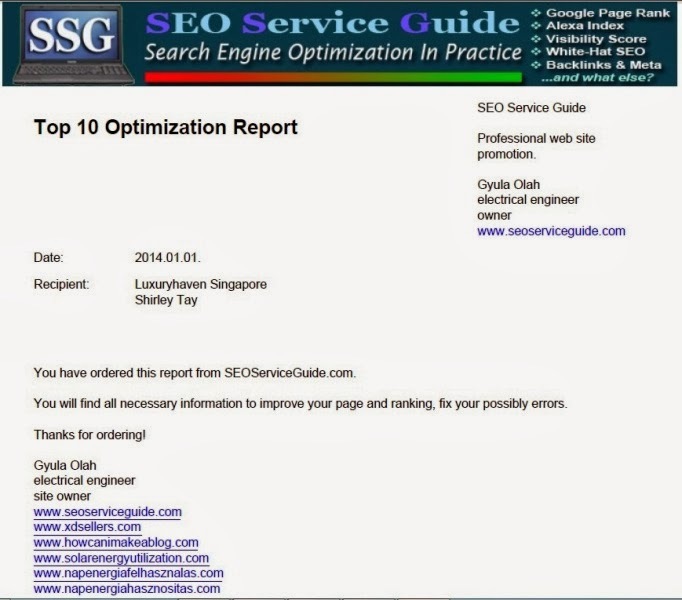 Hi Shirley, good that you rectified the page rank error with the help of a SEO expert. Furthermore, appreciate you for checking your website'e health and noting the problems with page rank, traffic, page loading time etc. PageRank (PR) is Google's view of the importance of a web page. A ten on ten is full score. Wikipedia is ranked 9/10. If we have the Internet explorer with Google tool bar installed and the PageRank button enabled we can easily view the PageRank of the page we opened. There is no need to visit other SEO sites to find out our PR or others' PR. 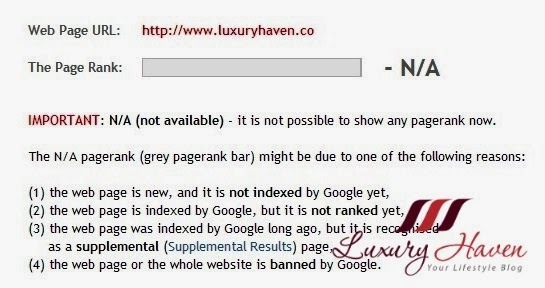 In Google chrome there is an extension called 'PageRank status' which if we install and enable will show us all about Google PR as well as Alexa rank, site traffic and a lot more details of SEO and the like of the site that we open. An awesome extension ! With this data it is easy to make modifications on your site to make it SE optimized. One factor we all must take care of is the page loading time. With a site jam packed with so many widgets, videos, bulky graphics ads, and the like with tricky redirects the loading time increases proportionately. Sign up for Google analytics and Google webmaster tools for analyzing traffic and to diagnose problems with website. 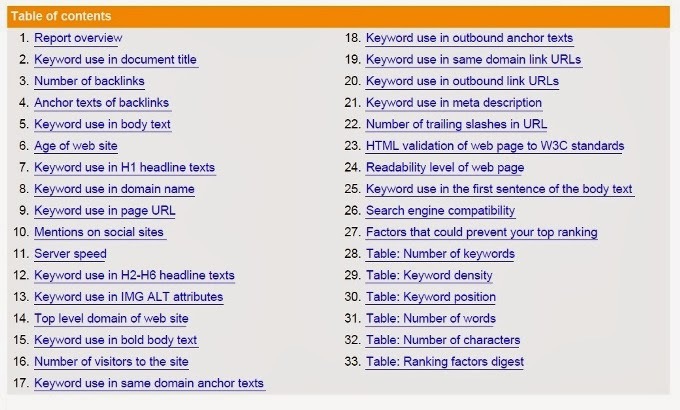 Very useful information about SEO in simple language from Google. Professional bloggers and those who are really interested better avail the services of a professional SEO Company. Rajiv, I'm real fortunate to have met the right person to help me through this ordeal. I actually have that Google tool bar installed, but have never bothered to use it unless someone informs me of certain issues like the last one on page rank that I'd encountered. I usually don't bother about such stuff until things happen. Lol! I've also registered at Google Analytics & Webmaster Tools since I started blogging from day 1, but I've never gone into them to analyze, let alone diagnose. It's complicating in there, so I try not to touch anything in there. Lol! Cquek, hope this helps you further. Lina, pleasure is mine! Certainly hope it's useful for you too. I am actually the worst IT nerd among all the KL bloggers who always have to tease me. Now I know a bit about how the Blog Rankings go about. You have a unique blog and many will always support you! TM, thanks again for your kind note! Happy blogging! i got 2/10 but dunno can 'go' or not...Happy Blogging to you as always! Hong, at least better than nothing lah. All the best to you! Glad that you have your PR back. Simon, you're kidding me right? Can never keep up! Lol! No kid. Its been quite a while since the bird update and they keep updating their algo. I find it hard to keep up with the Big G as well. Great to hear your ranking is up..!! Congrats! Is good have the experts and very informative post..
EH, thanks so much! I'm so relieved! Hi Shirley, Congrats on the climb. Thanks for sharing. I've been resisting SEO help for a long time. When did you start working on your page ranking? Hazel, thanks for coming by! I didn't deliberately work on my page ranking until it disappeared & dropped to N/A after changing my url. If you're referring to how long it takes to recover my PR, it's about 2 weeks. First time here.hopped through Divyas blog.wonderful recipes here.Thanks for sharing this and am in a confusion too.will check the links too.happy to follow you. Ramya, thanks so much for coming by! Chinese New Year is a busy period; will check out your blog too as soon as I get time. Have a wonderful week!